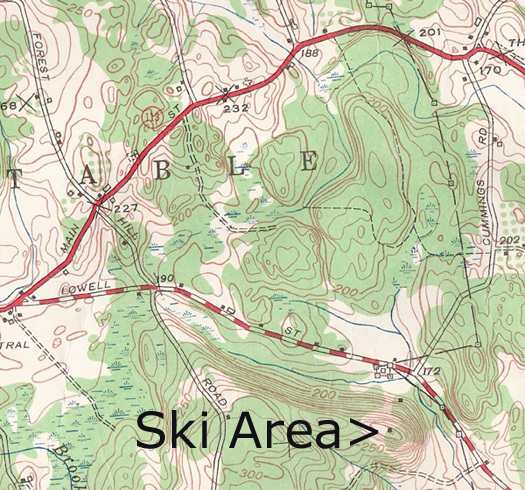 This small ski area was located in Dunstable, but was advertised as being located in Tyngsboro in a 1939 guide. This was a very obscure area that only appeared that once, and never again. 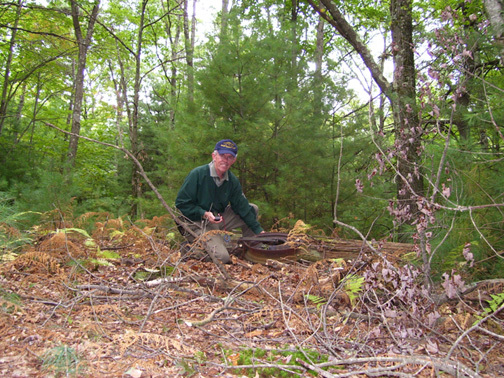 It was a mystery for us for a long time, but Bryan Leary has found out some information on the area, and actually found the remnants! Here are his details from a September, 2008 visit. 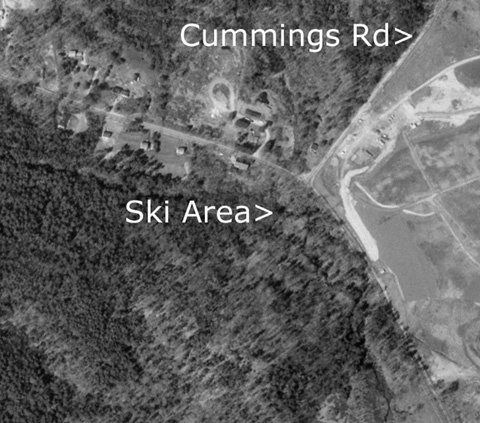 In discussing the Chalet Hill Ski area with a few old timers at the Tyngsboro Sportsmen’s Club, I found out that the ski area was not where you thought it might be - on Locust Hill in Tyngsboro - but rather was on Nutting Hill which is actually in Dunstable. I have a 1950 topographical map (right) that shows a structure on both the top and bottom of this 310 foot elevation hill in a northeast line, but the hill is not identified. However, when using Google Maps in this location, and zooming in under the Terrain tab, it identifies the hill as Nutting Hill. I scanned this area of the map for you and I have attached it. You will notice that Nutting Hill is on the west side of Dunstable Road just opposite the end of Cummings Road, while the east side of Dunstable Road in this area is Tyngsboro. 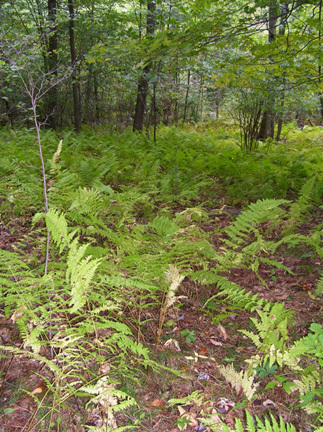 You should also note on the map the Chalifoux farm – hence the name Chalet – which is located on the west side of Dunstable Road approximately .33 miles south of Cummings Road. Some of the old timers remember the farm and the hill which was a rope tow operation of course. Nutting Hill is directly across the road from the infamous Charles George Landfill Superfund Site. 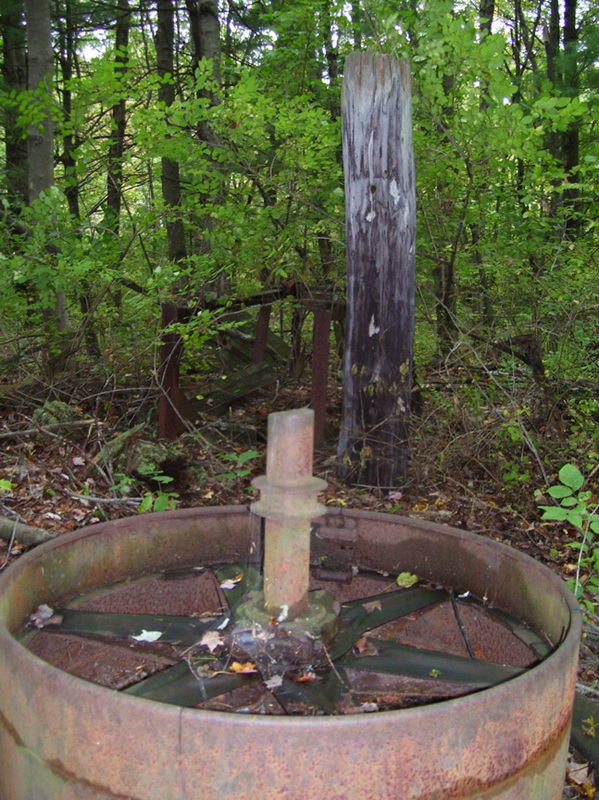 Bryan Leary next to a former lift tower. Click on the image for a closer view. 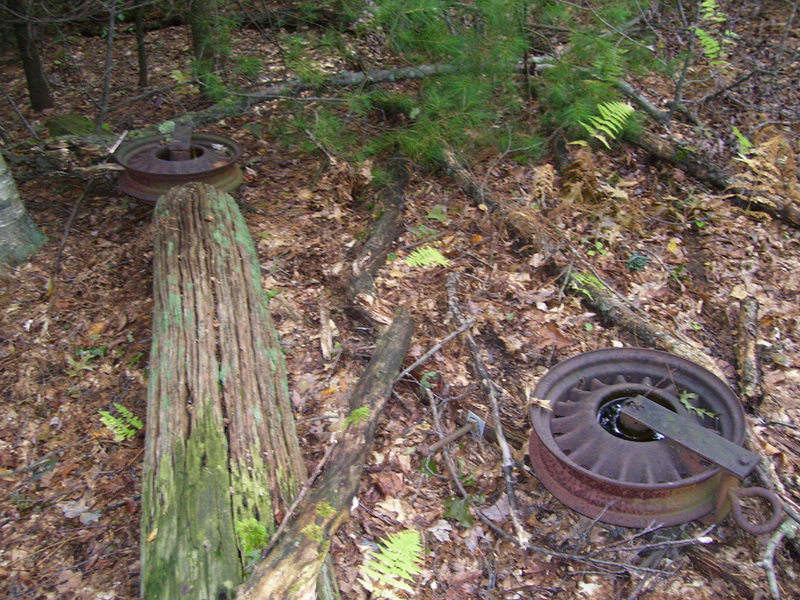 On September 22, 2008 I was on a mission to find evidence of this rope tow operation. With my Silva compass, GPS, and topo map in hand, I was able to quickly find remnants of this ski operation. Having turkey hunted on this hill in the recent past – it now is owned by the Massachusetts Fish and Wildlife Division – I was familiar with the area. The large telephone type pole at the bottom is still upright, but the pole at the top is tipped over. Walking back down the hill I could easily see where the rope tow came up as the ground was recessed from the wear of skiers being towed up to the top. Pulleys for the rope tow on the ground. These are likely 70 years old. Click on the image for the larger version. The liftline for the rope tow. Click on the image for the larger version. Here's an aerial view of Chalet Hill. Note the liftline is barely visible just right of the > symbol.